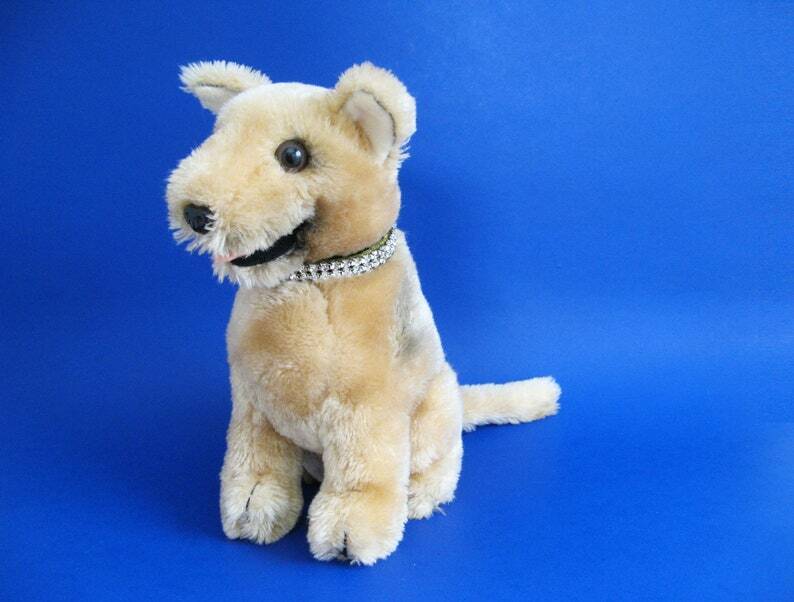 Adorable vintage German Shepherd puppy dog stuffed animal with rhinestone collar. Made by R. DAKIN & CO. in 1975. Measures about 8 inches tall (22 cm). This sweet puppy is in good condition, played with condition with a stain on his pink tongue. The stuffed shepherd was in excellent condition. I received within 4-5 days of ordering.